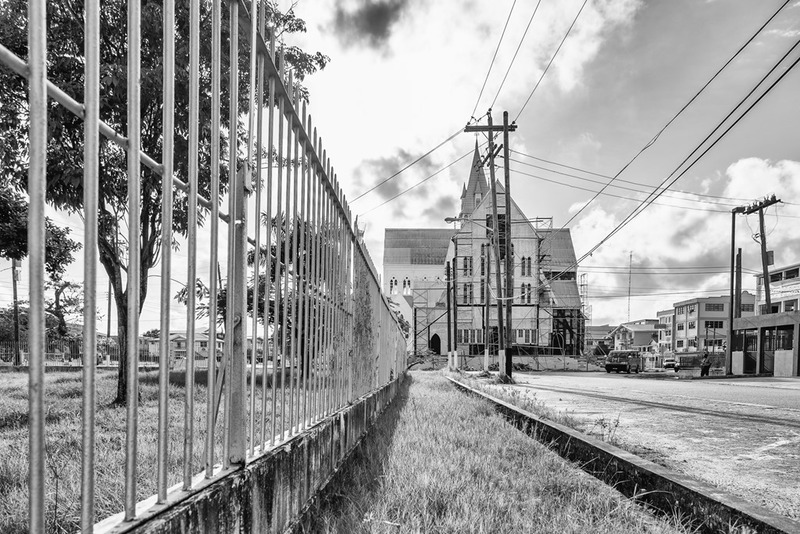 This impressive edifice has likely been branded upon the memories of ninety per cent of all Guyanese (if not all), it stands centrally in the commercial district of Georgetown, encircled by roads and dwarfing most of its neighbours in size and in stature. It is probably one of the most photographed buildings in Georgetown alongside other buildings along what is called the Heritage Trail, which stretches from Parliament Building (which incidentally is where Anglicanism first began making an impact here, in the late 1700s the ground floor of a building on that site was used to hold services) all the way up Avenue of the Republic into Main Street and High Street, ending at the Umana Yana. 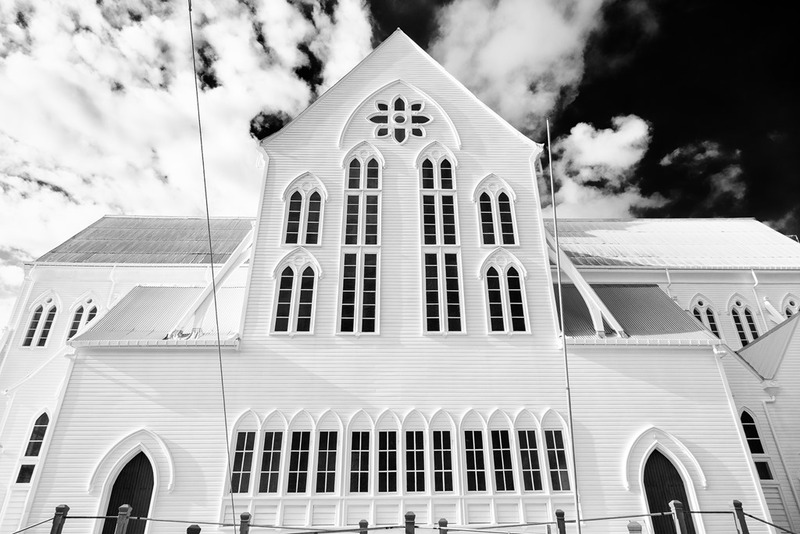 The current St George’s Cathedral is the second church to sit on that spot, the first not lasting very long due to structural faults and subsequent cracking, although there were plans for a replacement stone structure, a wooden building was settled upon using mainly local timber. What makes a cathedral? 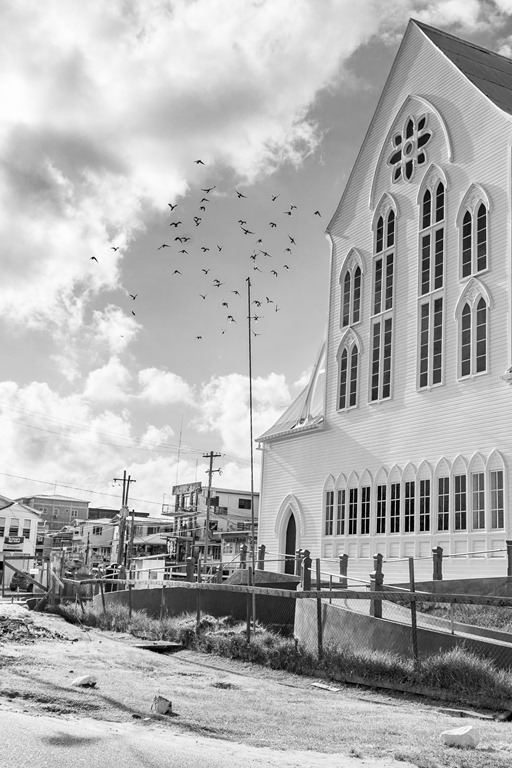 Although most people tend to associate the term with grand structures in the Latin cross style, complete with naves and transepts, a cathedral is simply the church within a diocese that houses the seat of the Bishop, in this case the Anglican Bishop of Guyana. 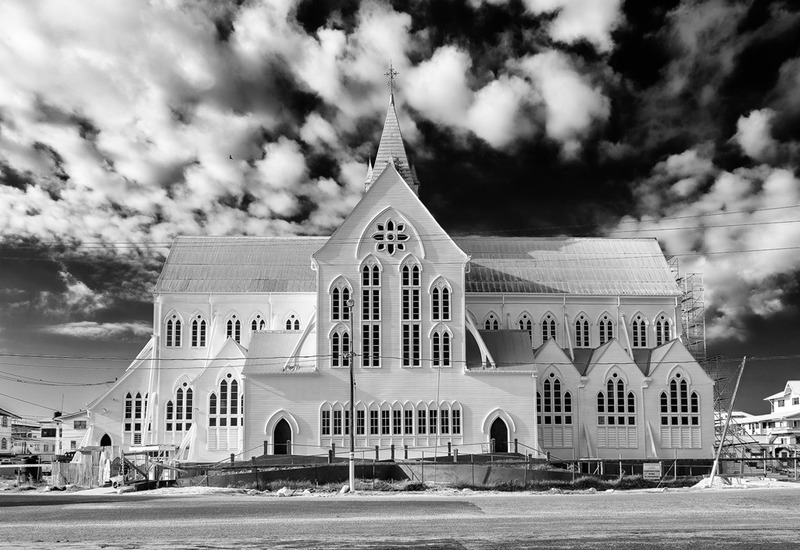 Guyana has two notable cathedrals, the second being Brickdam Cathedral or as it is officially known, the Cathedral of the Immaculate Conception (a Roman Catholic church). The current building was opened in 1892, and is among the tallest wooden structures in the world, as well as often being called the tallest wooden church in the world. 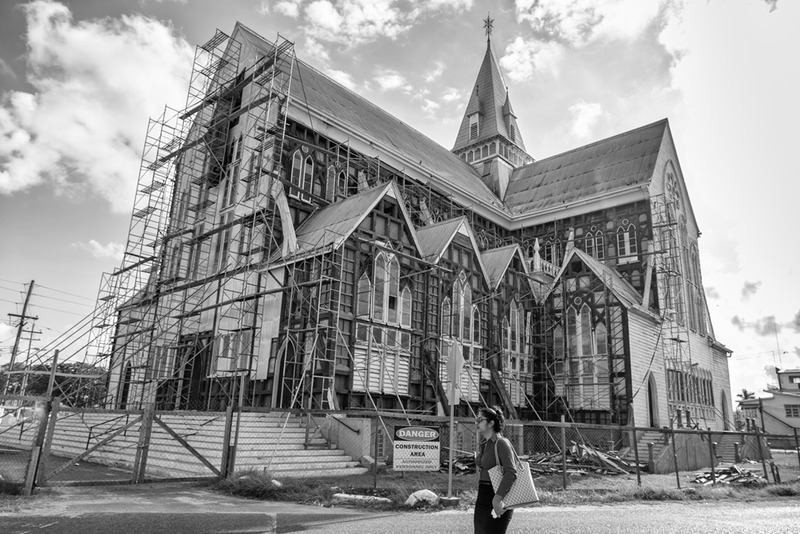 Over the decades there have always had to be major renovative and restorative works to the building. 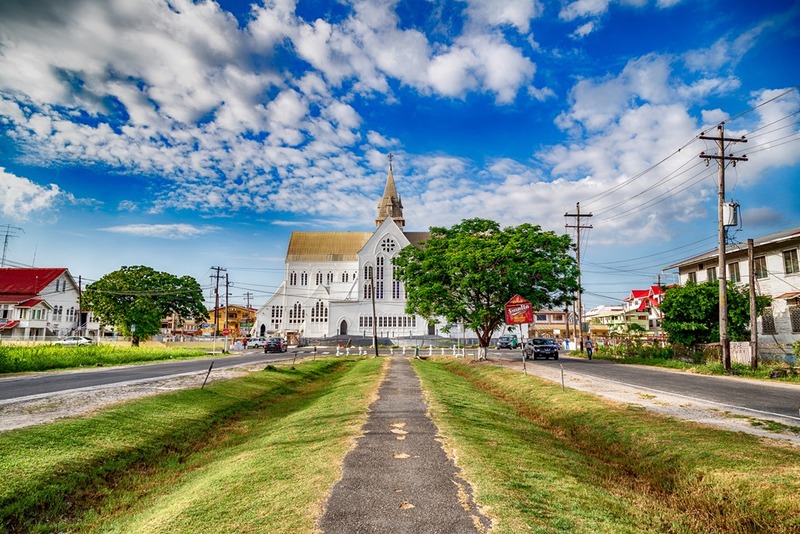 While it is an Anglican Cathedral, it is also a source of pride to all Guyanese, and as such we should all try to help in keeping it beautiful and maintaining it. I remember during my high-school years, there was a massive drive to raise fund for its restoration, a specific memory centre around some pens that they sold, the pens were shaped like a large nail, I remember using that pen in school, and while my own faith is Roman Catholic and the school I attended was a former Catholic school, heading up my page with that pen meant something, especially when I wrote the letters “A.M.D.G” at the top of the page as I still did at the time; it was a remnant of the old school habits, St. Stanislaus College having been run by the Jesuit priests required the students to head the page with that, it stands for “Ad maiorem Dei gloriam” – For the greater glory of God. St. George’s Cathedral is again currently in the middle of massive restoration project, this post contains some photos I took of it a few weeks ago. The northern face has been completed and is impressive in its finish, currently the western face / south western corner is being tackled. I understand that there is currently a short-fall of funds, and they are asking for any assistance to continue and complete the entire building, to restore its beauty, and preserve part of our national heritage.